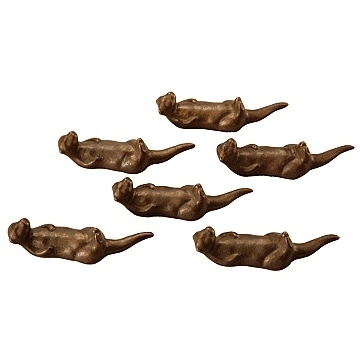 Present these baby otter figurines as a gift or use them to add a little ornamental effect to the desk. Made of brass. Comes as a set as shown.